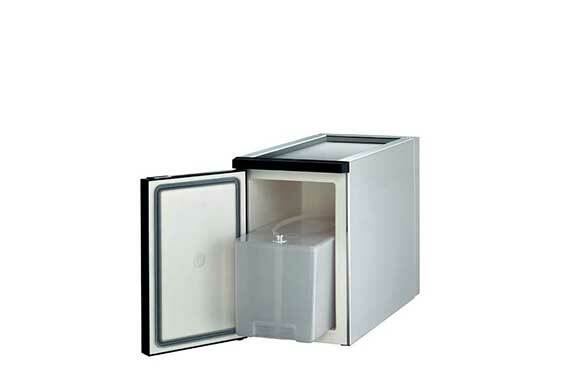 WMF Universal Milk Cooler with lockable door that can hold 6.5 liters of milk. 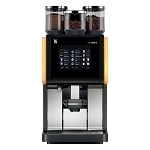 Suitable for WMF coffee machines: WMF1400, WMF1500S, WMF5000S. It comes with a 6.5 liters removable plastic container for easy cleaning and filling of milk. 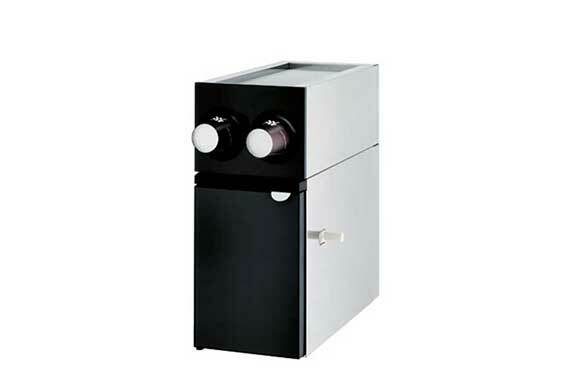 This universal milk cooler comes with an automatic temperature control from 2° - 6°C which keeps the milk at the optimal temperature. 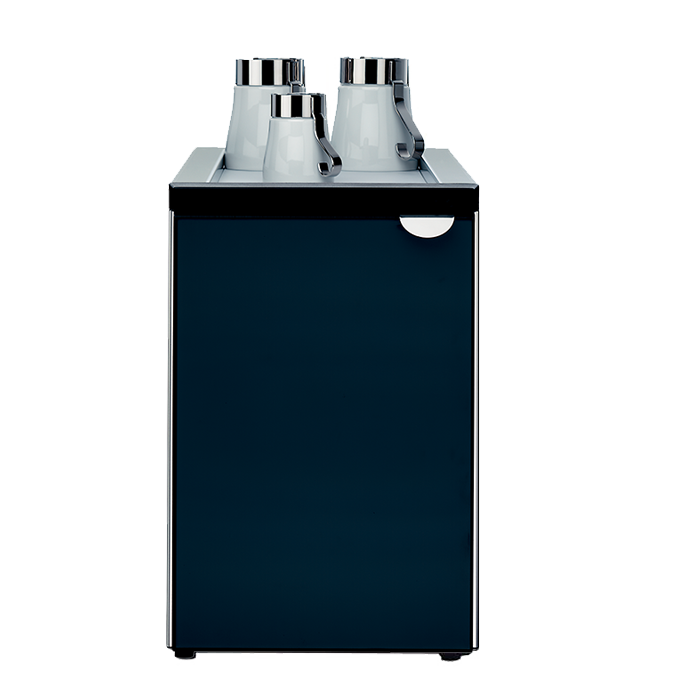 The removable milk tank with approximately 6.5 liters capacity is prepared for Plug & Clean operation and is dishwasher-proof. The cooler got a on/off switch and a temperature control button. 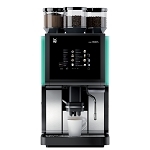 The universal milk cooler is also available with a door lock for self-service operation.